6:00 – 8:00 pm Preservation Texas Honor Awards Reception and Ceremony at the historic Paramount Theatre at 713 Congress Avenue in Austin. The reception will include two drink tickets and hors d’oeuvres; the ceremony will begin at 7:00 pm. (No tickets will be mailed. Check-in at the door to receive your name tag and drink tickets). 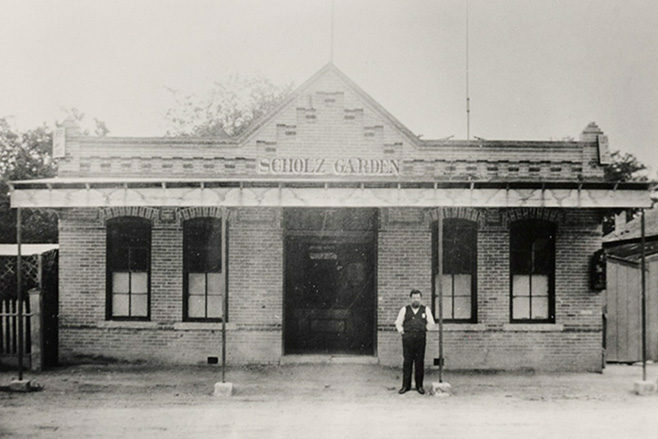 Scholz Garten has been in continuous operation since 1866. **Parking Options: Capitol Visitor Garage (7 minute walk, 1201 San Jacinto); Brazos Garage (8 minute walk, 210 E. MLK); Bullock Museum Garage (4 minute walk, 18th Street between Colorado and Congress). The first two hours at the Capitol Visitor Garage are free and is overall the cheapest option, but in high demand during the Legislative session. In order to encourage attendance, costs have been kept low. The support of sponsors makes this possible. Honor Awards: Members $25; Non-members $40 (includes introductory one-year membership to anyone who is new to Preservation Texas). Student pricing is available. Registration includes two drink tickets and hors d’oeuvres. Day at the Capitol: Members free; Non-members are asked to become members. Lunch is $12.50 and includes a box lunch (sandwich, chips, dessert, drink). Vegetarian option must be requested to ensure adequate quantity. There is no official hotel room block for the 2019 Summit. Room block rates were not competitive with what is available online. There are a range of options new and old near the Captiol. 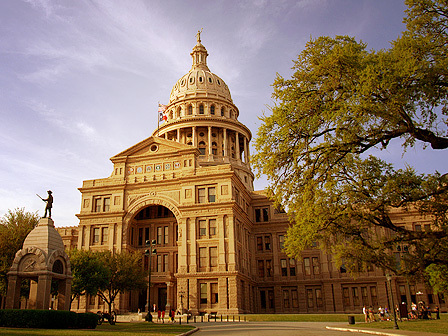 All events are within walking distance of the Capitol. Thank you for your interest and support for Preservation Texas.